You are here: Home \ Environment \ Soil Erosion- Causes and Prevention. Soil erosion is defined as the process of removal of soil from one surface, due to factors like rain, wind or others, and its disposition in some other areas. Soil erosion is harmful and useful at the same time. On a good note, it is responsible to bring the minerals from the hilly areas to the plains, thus making it very fertile and good for agricultural practices. At the same time, the erosion of the soil washes away the top layer of the soil, called as humus, and therefore makes it infertile. Over the past few years, soil erosion has increased considerably over the past few decades. Although the major causes of soil erosion were all natural, but the human activities have now changed the situation. Large scale deforestation and agricultural practices have increased the soil erosion manifolds, thus worsening the quality of the soil. Here are some natural reasons, which are responsible for erosion of soil. 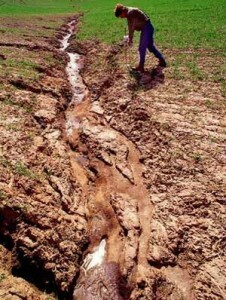 The picture shows how soil gets eroded through natural resources, as river. But over the past few decades, human activities have increased the rate of soil erosion considerably. One of the major activities responsible is agriculture. When land is tilled, it loosens the packed structure of the soil and initiates the erosion of soil. The exploitation of soil results in removal of humus, which is very fertile for crops. Moreover, the practices involved in agriculture are not environment friendly. Instead of growing the same crops every time, crop-rotation method can be really helpful in preventing erosion of soil. 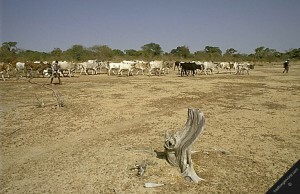 Another very important activity which causes soil erosion is over-grazing by animals. The uniform cover of grass in the plains can prevent soil erosion, which gets uprooted while grazing. Overgrazing is one of the major factors of soil erosion in many areas. At the same time, deforestation is responsible for this large scale erosion of soil. The roots of the soil bind the soil under the ground together, therefore not allowing it to erode. But the agricultural practices lead to large scale deforestation at many areas. 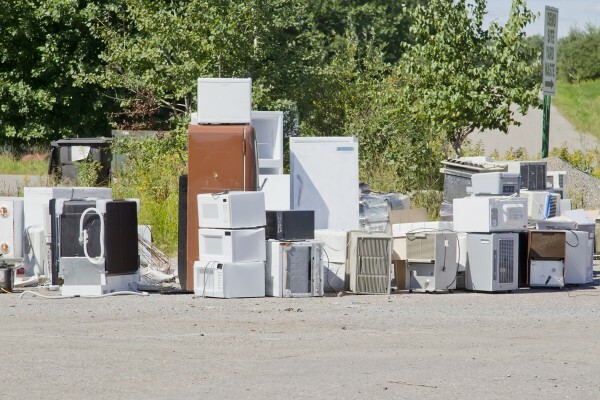 Industrialization is also responsible for the clearing up of forests, which again multiplies the soil erosion. The slash and burn method used to clear tropical forests was a large contributor to erosion of soil in 2006, according to a study. The cutting of trees in hilly areas is even more harmful to the soil, because the steep land allows the water to take soil away with it and deposit it in the lower areas. Lack of forest cover is largely responsible for erosion of soil. The erosion of soil has resulted into many harmful effects worldwide. The first thing it has done is that it has degraded the quality of land. According to a study, every year about 75 billion tons of soil is eroded from terrestrial ecosystems all around the world. This is a huge loss to the farmers, as the yield of crops decreases with poorer quality of soil. At the same time, it results in the accumulation of soil and sand in the water bodies, thus limiting the food supply to the aquatic flora. Along with this, the soil which gets eroded due to high speed winds causes respiration problems, because of the dust intake. What can be done, to reduce the soil erosion in any area, is to increase the plantation cover. The binding of the soil by the roots of the trees can prevent soil erosion. You might have noticed that a field with grass cover does not get eroded, because it is bound by grass. 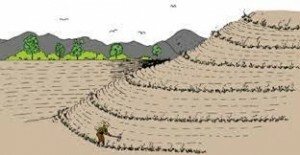 The areas with slope, which are highly prone to soil erosion, can be saved by planting trees. 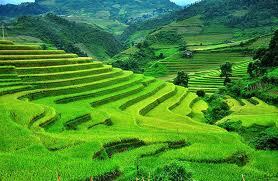 Terrace farming is also a very good option, as the vegetation cover is helpful in both the manners. Promoting terrace farming in hilly areas will result in a reduction of soil erosion. Soil erosion is occurring at a very high rate all around you. When strong wind blows and carries wind from the ground, it just eroded. When the water flowing in the river carries away with it small rocks and sand, it just got eroded. And it is very important to reduce soil erosion to maintain the quality of land and avoid sedimentation in water bodies, though it cannot be stopped completely. Soil erosion is completely natural, but the activities of human beings have made it man-made. Soil erosion, which was basically an activity having natural causes. But the human activities, in the blindfold of his greed, have multiplied it. Consistent efforts of afforestation along with awareness among the farmers, at a local level, can help in decreasing soil erosion. It appears as a wonder to me that if planting a tree can be such a help to the environment and can deal with many issues at a time, then why we refrain from planting trees. It is really important to plant trees. Go, plant one today. Your contribution to the planet will make you proud and immensely satisfied.